$1.99 to $49.99 & FREE Shipping on orders over $59 $35. Falconers flight hops are a new aroma and bittering hop blend for Pale Ales and IPAs. 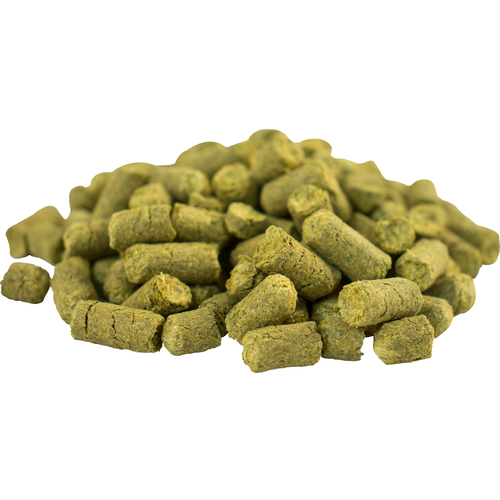 This proprietary pellet blend is comprised of many of the Northwest’s most unique hop varieties and is perfect for any Northwest-style IPA. Each hop has been hand selected for its superior aromatic qualities, imparting distinct tropical, citrus, floral, lemon and grapefruit tones. This allows you to get the complexity of a selection of top American aroma hops in one single addition. Has been a solid hop for IPAs. Standard hop - great deal. Awesome hop blend for price. Unbeatable price with free shipping! I love the great citrusy and floral flavors imparted by this under-utilised hops variety. I love this hop. I use it in two of my favorite beer recipes. BEST ANSWER: Hi Nathan - The crop year is 2016. Very floral aroma in an APA, smooth bitterness but a bit stronger than anticipated. Great citus flavor. I like this hop alot and will keep using it. One of my favorite for IPAs! Use in my DIPA and love it. Falconer's Flight is one of my favorite hop varieties for IPA's. Along with HBC-438, these are the only hops I use in single-hop batches. They both provide the depth of flavor and clean, tropical and citrus flavors that make IPA's delicious. Falconer's Flight is a hop blend of many of my favorite individual hop varieties. Note: There is also a Falconer's Flight 7C blend, which I do not like as much. I use this for a high IBU session IPA that I brew, the 8 ounce packaging works fantastic, as it gives me the exact amount of hops I need for the 5 gallon batch! Gives a balanced bitterness with a great aroma. I have used it for bittering and aroma at the same time, and as each component in other batches. Very versatile hop blend! Good to use for aroma; nice blend of citrus notes.